Trust us on this: Darth Vader is back and he means business. And he is terrifying--just like back in the good old days when we first saw him on the original Death Star. Don’t get us wrong, the Sith Lord was always a master of fear and intimidation, but now you can harness that same dominating energy and use of the dark side of the Force. 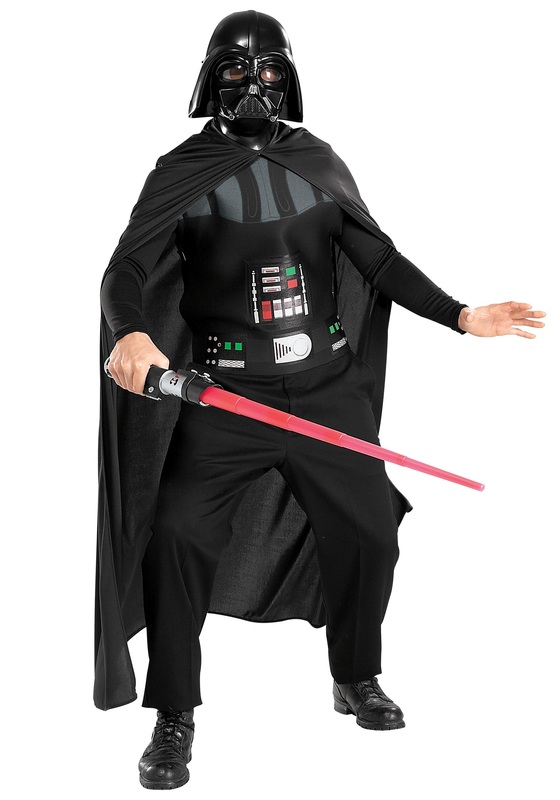 That’s right, now you can look just like the former Jedi himself in this thrifty costume. This Economy Adult Darth Vader Costume is perfect for easily recreating the look and feel of the commander of the Empire’s Army. Feel like blowing up a couple of planets today? Sure thing! You can knock that out by lunchtime. Does your son feel like giving you sass until you finally put your foot down and disarm his wit with a grounding he’ll never forget? No problem--just make sure you don’t accidentally send too many things flying through the living room window. As the Lord of the Sith, the whole galaxy is in your command. Just a heads up, however: make sure you’re keeping your boss happy. We know he doesn’t request much, but you definitely don’t need him electrobolting your kids whenever he gets a chance. Besides that, enjoy the power that comes with the re-invented terror of Lord Vader. We can’t wait to see what you do next with all the power of the Force at your command.